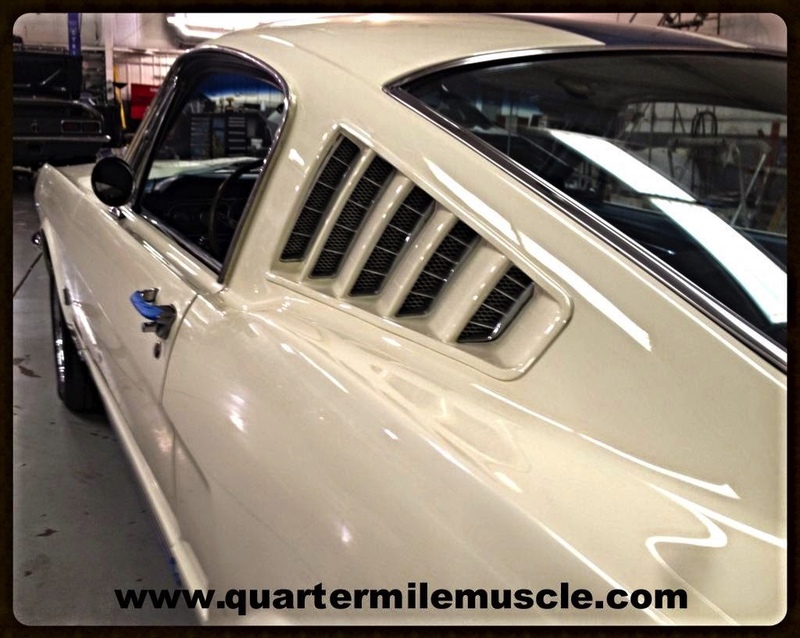 MUSTANG RESTORATIONS IN NORTH CAROLINA | Quarter Mile Muscle Inc.
Mustang Restorations in North Carolina by Quarter Mile Muscle Call 704-664-9544 today. 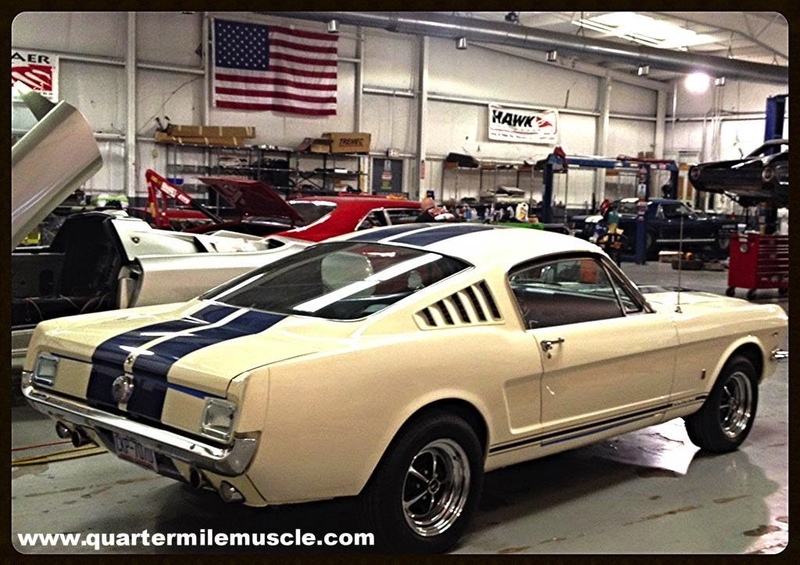 This is a Full Service Mustang Restoration facility located in Mooresville, North Carolina. We do transport Mustang projects from all over the country to our shop and back home if needed. Our Restoration Shop handles everything from the parts ordering or locating to complete custom builds. We deal with all the Mustang aftermarket venders so we get the best pricing availble. We can build your Pony car the way you want it. From a Custom Eleanor GT 500 Fastback to a Mach 1 and all other Generation Mustangs are welcome here. 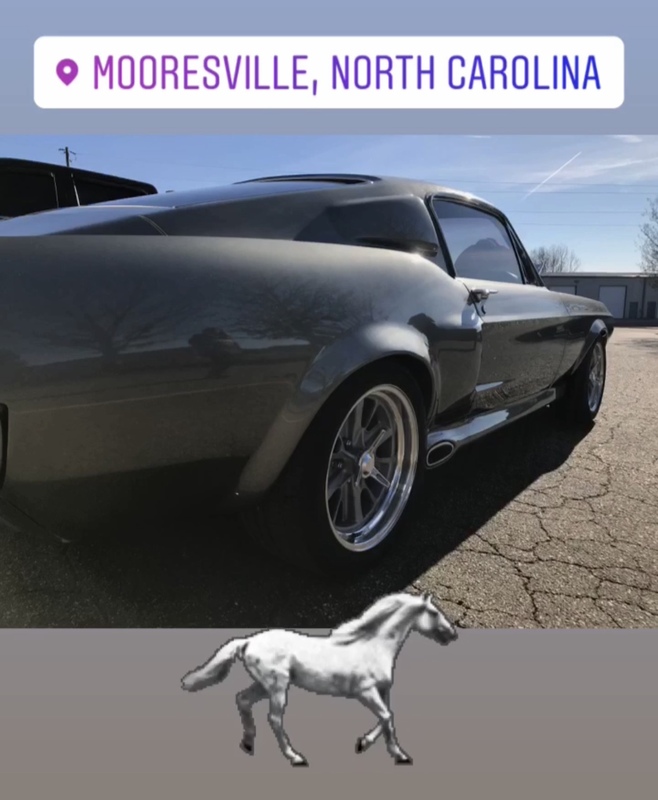 Mustang Restorations in North Carolina - METAL FABRICATION Our Classic Car Metal Fab division handles all Rust repairs to complete sheet metal panel replacements. We have saved many classic cars that were badly rusted. We carefully remove the bad rusted areas of your cars sheet metal and our Metal Fab Techs handle the install. We mig weld and tig weld here on-site. We pay close attention to fitment, panel alignments and all gaps when we restore our classic or custom cars. Our Metal Fabricators do custom work all the time, from mini tub installs, floor pans, trunk pans, quarter panels and even shock tower removals for those looking to do a Coyote Swap. Mustang Restorations in North Carolina - CUSTOM PAINT When it comes to your cars Paint work we offer complete and custom Paint jobs here at QMM. We do the entire bottom side, engine bay, trunks and exteriors of all of our complete restorations. We use high quality PPG paint products and we mix our own PPG paint here on-site. Our large Down Draft Paint booth provides us with the right atmosphere to help us ensure a contaminate free paint job. If you are looking to update or change your Mustangs paint let us know what you are wanting and we can estimate your job. From Show Quality buffed out paint jobs to daily driver paint jobs we handle it all. Mustang Restorations in North Carolina - MECHANICAL When your talking about your Mustangs Performance we can help in this area. We do complete engine swaps and rebuilds depending on the Mustang project. Our Mechanical Techs have been working on these Classic Mustangs for many years. So send us your Boss 429 Mustang or your Mach 1 and we will have it running as it should. We do offer fuel injection for many classic cars now. We also upgrade and update entire brake systems, electrical and suspensions systems in these Mustangs. From Coyote Swaps to Tremec transmission installs our team wil get your project done. Mustang Restoration in North Carolina - UPHOLSTERY When your Mustangs interior is in need of updating or replacing we can help. We do replace all upholstery from the carpet to the headliner or convertible top and everthing in between we can restore or replace it for you. We also do custom upholstery work as per your request. So when your Mustangs driver seat starts to feel more like springs than cusion contact us today. Sometimes the only way to get that old moldy upholstery smell out is to do a complete replcaement. CALL QMM AT 704-664-9544 TODAY.